If you've read this blog for any length of time you'll know that I come from a practical family. My brother has been putting this into practice lately and his latest creation is his beautiful pizza oven! I'm really impressed with it, he's put so much effort into not only building it but the research side of things as well. We've been over three times for pizza now and each time they've been the best tasting pizzas we've ever had. 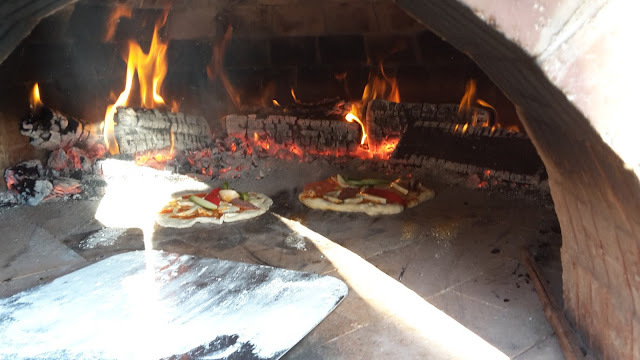 They take a couple of minutes to cook once the pizza is going, with crispy bases and perfectly cooked toppings. You do have to keep your eye on it mind as they burn quickly and there is a bit of technique that's needed to get them in and out cleanly rather than pushing them back into the fire. 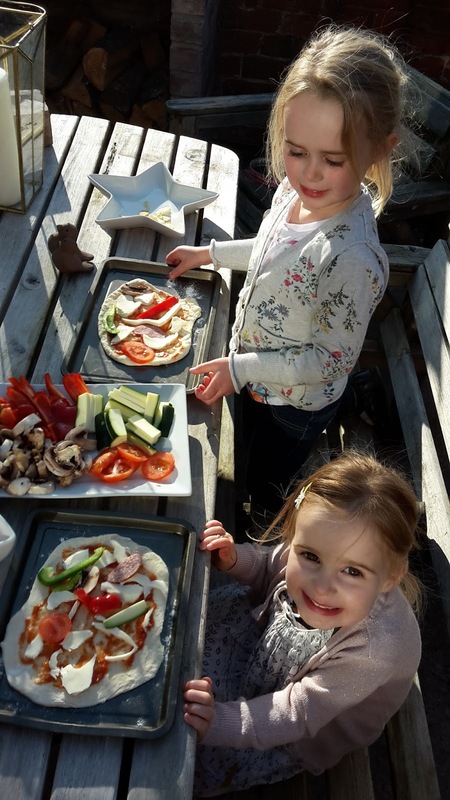 The girls get really excited about making their own pizzas and then watching them cook. In fact so do I! As well as pizza we've also knocked up batches of garlic butter and made lovely garlic bread and Dave cooked a batch of new potatoes in there as well (possibly the best tasting potatoes I've ever eaten). All this outdoor cooking has really got me thinking about our outdoor cooking area and what I'd like there once the patio is built. 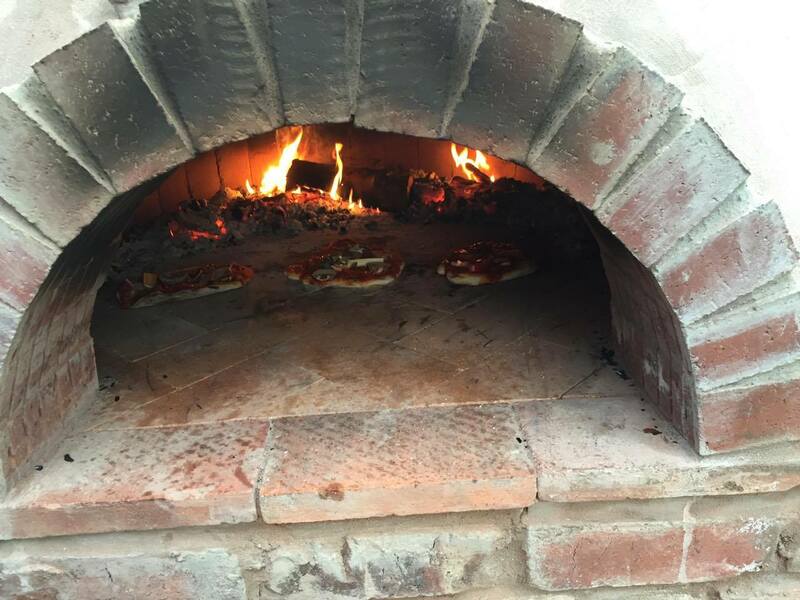 I have to admit that after using my brother's that a pizza oven is pretty high on the list now! What would you have in your ideal outdoor cooking area? 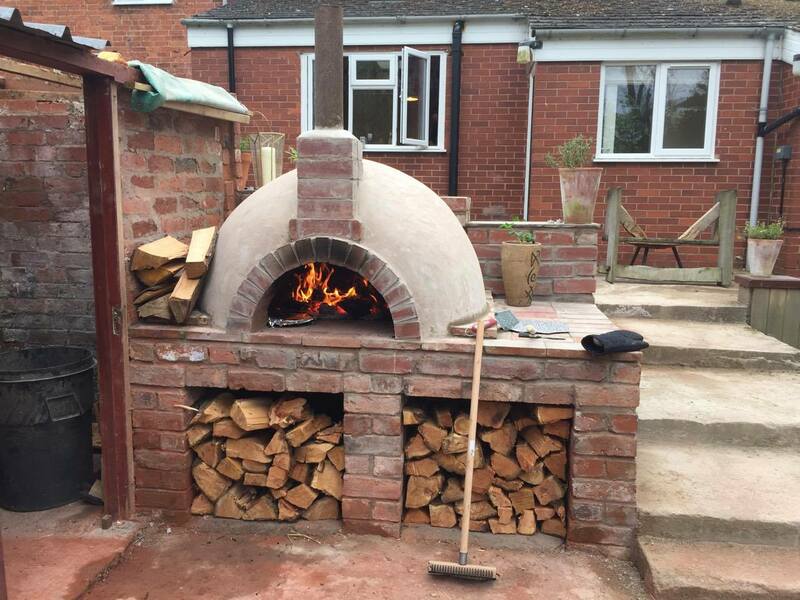 Who else would like a pizza oven like my brothers? Rocket stove for emergencies and a pizza oven as they are not just for pizzas! I think I would use a pizza oven for a lot of things in the summer-keeps that heat out of the house. And my, it looks good too! I've thought about creating an outdoor cooking area. It gets super hot here in the summers. It would keep the heat out of the kitchen. I LOVE this!!!! Desperately want one, you need to give us the step-by-step on how it's done. With your new retaining wall, and that slab you poured, you have the perfect set up to build one of these. Been looking at doing something like that myself. They are a perfect set up to be able to do oven cooked meals in summer time without cooking yourself out of the house. you should build one! i have one but they made it too big when they built it and it takes way too much wood to get it hot enough so i never use it. Oh my, that is on our wish list (probably on 2nd Man's short list since I'd have to do it). For me, I think I'd have to hire it out, I'm not that good with brickwork, have tried. Tell your brother that is a work of art! Enjoy!! It should make a good bread oven and slow cooker, too. I absolutely love this, one of the highest priorities on our land once we've built the house is the outdoor cooking/eating area and this is exactly what we need! some great photos, would love to hear the hows and whys of his design choice perhaps you can get him to do a guest post for the blog? Did your brother use a plan or is this his own creation its amazing. It's his own creation. He used some books to work out the key measurements.